The World Health Organization mulls a wider response as an outbreak in DR Congo spreads to a city. 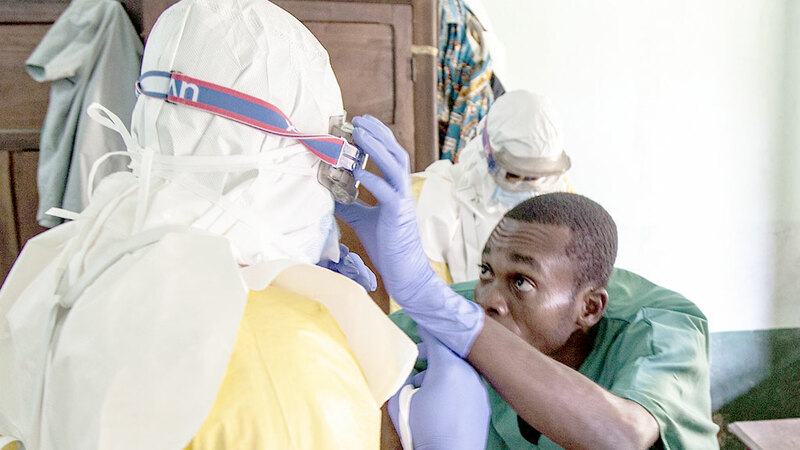 The government of Tanzania on Friday allayed fears of Ebola as fresh outbreak of the viral disease was reported in the Democratic Republic of Congo (DRC) where four people have been tested positive. Ummy Mwalimu, the east African nation’s Minister for Health, urged the public to remain calm as the government took control measures. Four people have tested positive for Ebola in eastern DRC just a few days after another outbreak that killed 33 people in the northwest of the central African country was declared over, the DRC health ministry said on Wednesday. Mwalimu said the government will continue educating the public on Ebola preventive and control measures. “More efforts will focus on ensuring health authorities at border posts are supplied with medical equipment to check the disease,” said Mwalimu. She said emergency response teams have been trained and were ready to respond to any possible emergencies. Mwalimu said protective gears and testing facilities have been distributed in eight regions, including Dar es Salaam, Songwe, Rukwa, Katavi, Kigoma and Kagera. “We have instructed the Medical Stores Department to distribute medical equipment at border posts, ” she said. The World Health Organization on Wednesday started moving staff and supplies to the DRC, said WHO chief Tedros Adhanom Ghebreyesus.